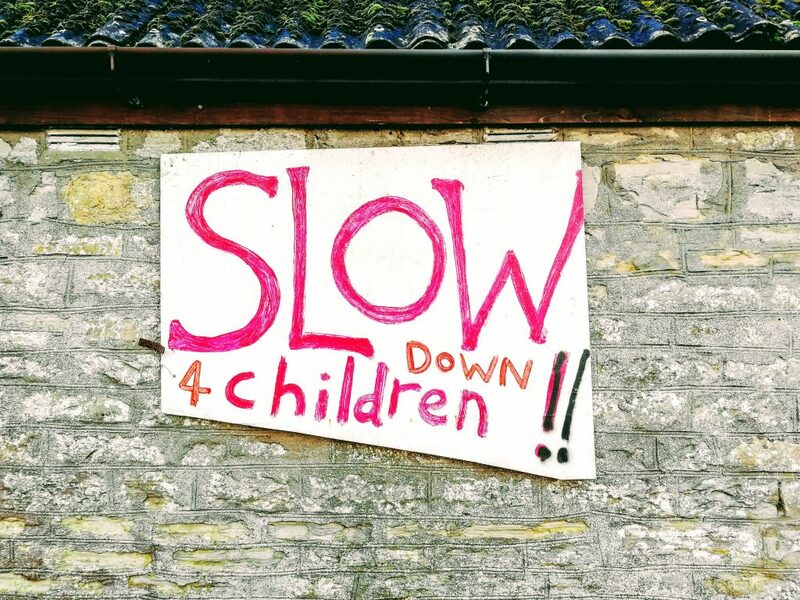 Beckery Village is a creative community hub emerging from emptiness and dereliction, on the Western fringes of Glastonbury Town. Only a few years ago, in the early 1990’s, there was an empty industrial wasteland on the edge of Glastonbury. Buildings which had once been home to the town’s thriving sheepskin industry stood derelict, vandalised and crumbling. 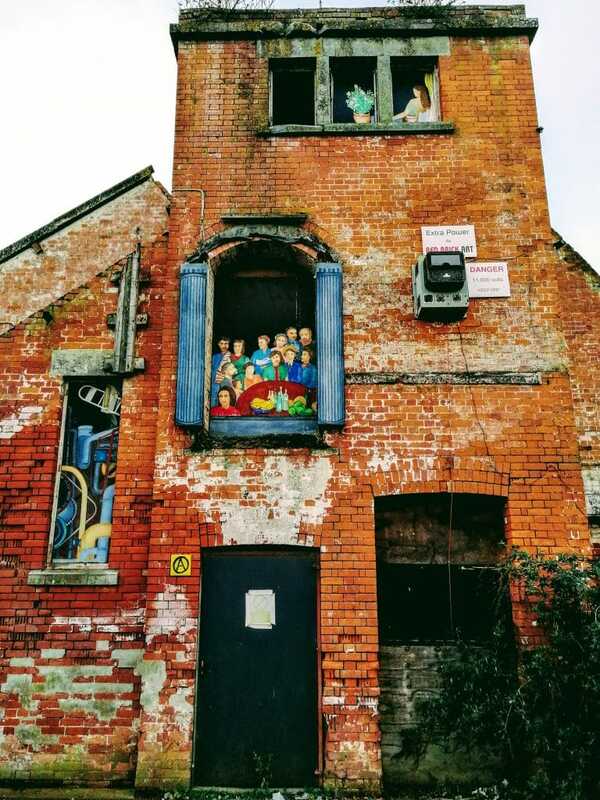 It seemed their only future was to be demolished, erasing more than a century of Glastonbury’s industrial heritage. The Beckery estate was originally home to a tannery, which was taken over in 1870 by Clarks of Street, who in partnership with Morlands, began producing sheepskin rugs and other goods. The 31 acre site employed hundreds of workers making coats, car mats, rugs, boots and slippers, flying jackets for the RAF in WWII and boots for Hillary’s Everest Expedition. The business ran into difficulties during the recession of the 1980’s and the buildings fell into disuse, although the Morland’s business continues to make sheepskin products to this day. Fortunately, the factory was saved by various projects that sprung up on the site, breathing new life into the area and providing much needed community meeting spaces. 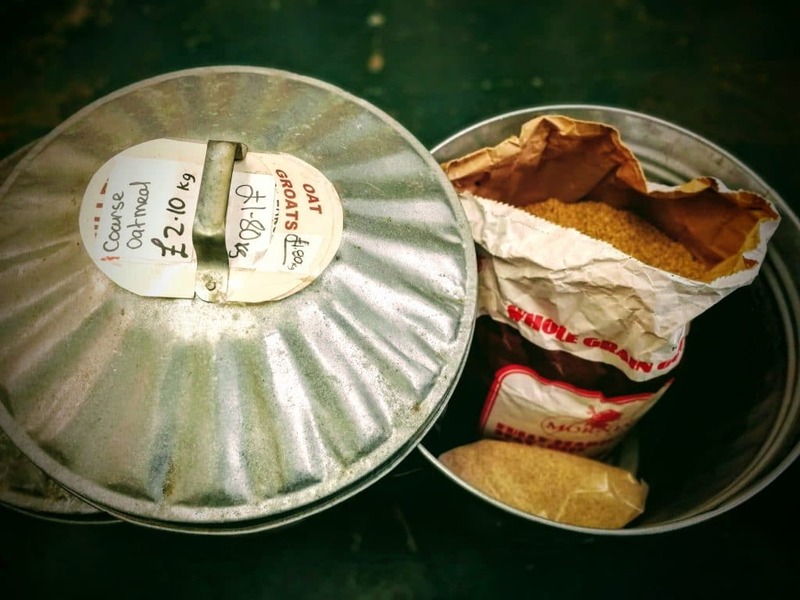 Up to now these projects have ‘kept themselves to themselves’ – developing their own special flavours, each catering for particular interests in the wider community. Now, having established their individual strengths and identities, they are coming together, to form the Beckery Village. Bridies Yard, the Red Brick Building, the Zig Zag, Bridie’s Mound, the Glastonbury Skate Park, a coal yard, a gym, a bike project, a mobile library and an array of small businesses from wet-suits to pixie boots, this eclectic collection of enterprises is now focusing on developing the area to become more welcoming and attractive to visitors. 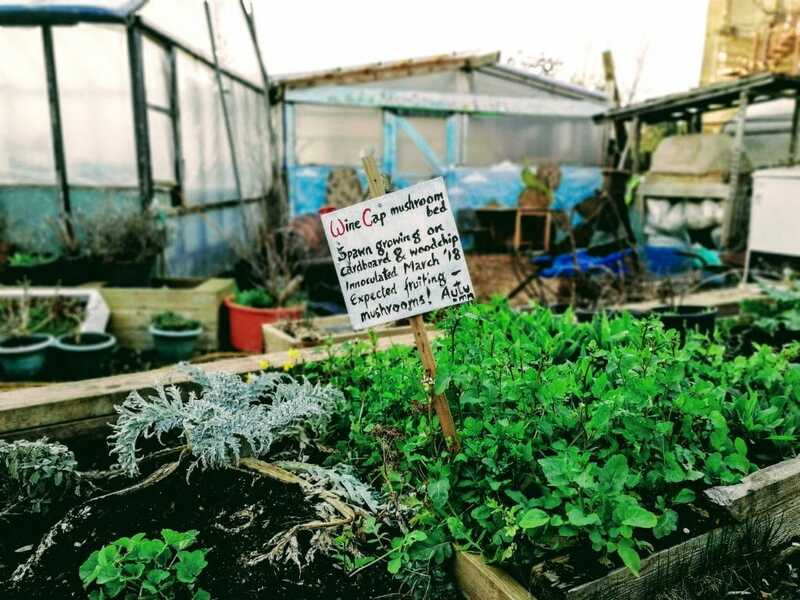 I’ve been asked by several people involved in the Beckery Village to write about the plans for the future that are made possible by this fertile collaboration. 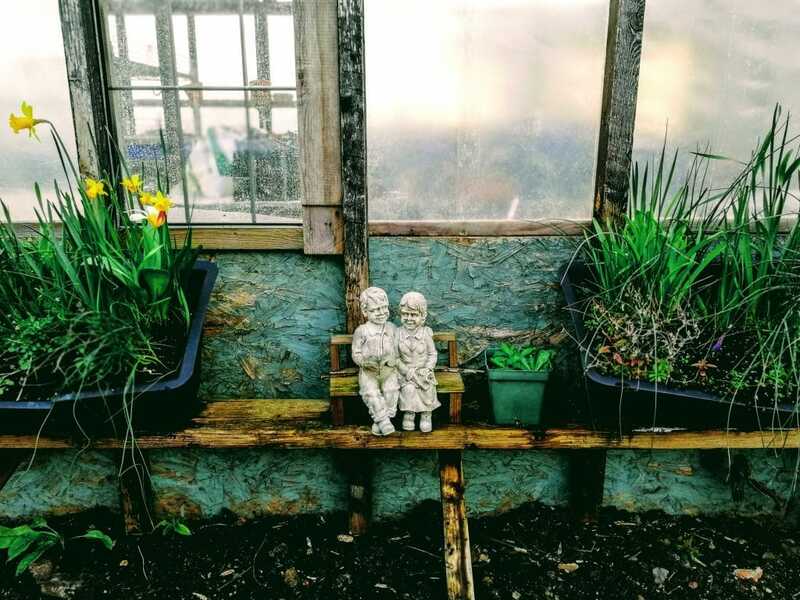 I started by talking to Tanya Greenangel and Nik Hiscock from Bridies Yard, who told me that they felt that the yard, under-loved and under-resourced in the past couple of years, was turning a corner. 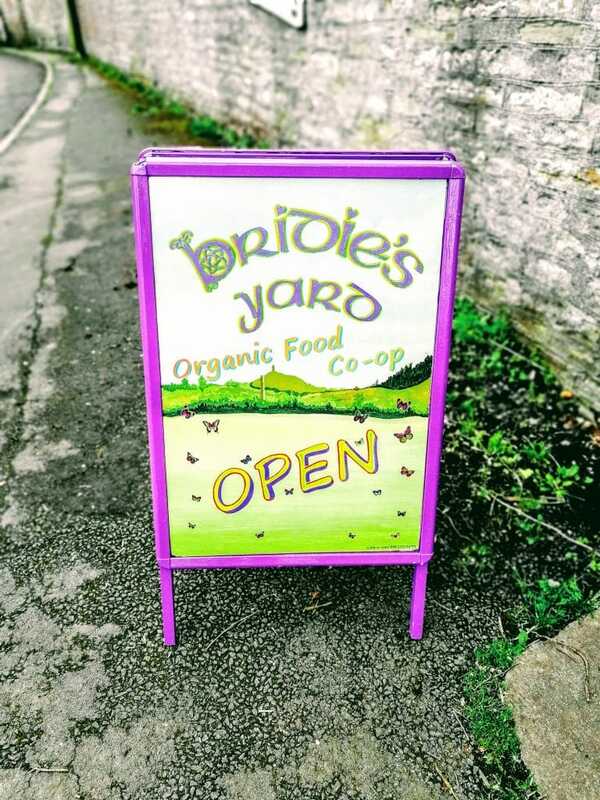 Bridies Yard was once a cow shed and farm yard, but now houses an organic community food shop, community space and creative art studios. 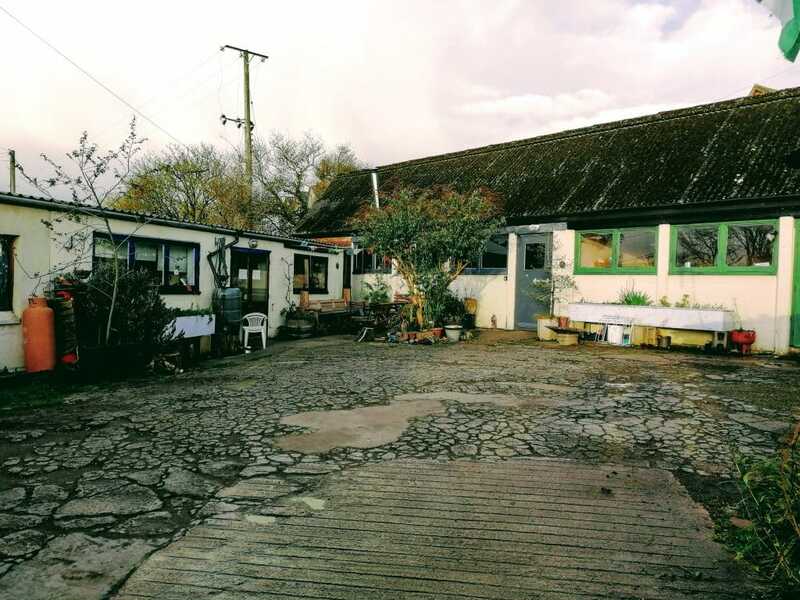 The Yard began life as the vision-child of two intrepid local food pioneers in 1997, Sally and Sophie Pullinger. Its ethic then as now, was to provide affordable organic food for everyone. At that time there were lots of kids and home education, mow those kids have grown up and are shopping in the wholefood store for their own families. 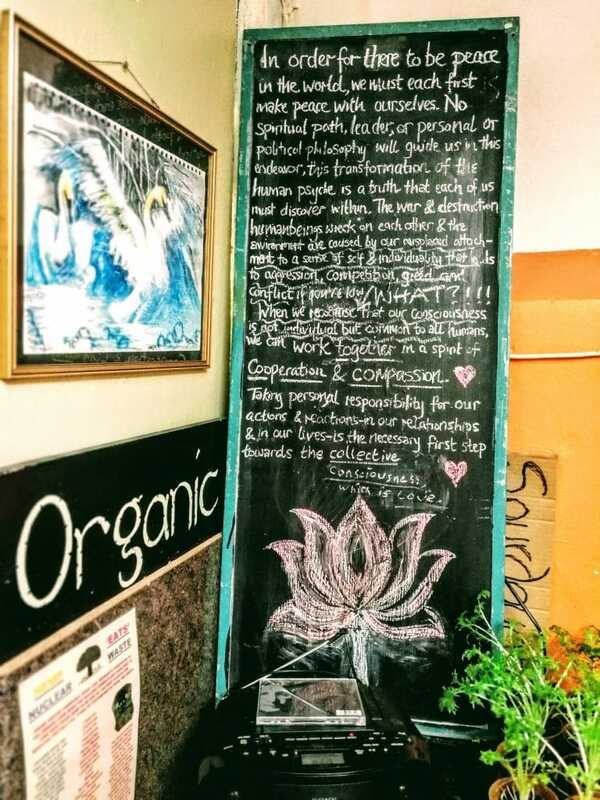 For a while Bridies became more of a raw food cafe under Simon Ganz. Tanya feels that “Bridies has its own little vibration. It picks people to carry it on”. She explains that the focus of Bridie’s Yard is still around community, family and health. 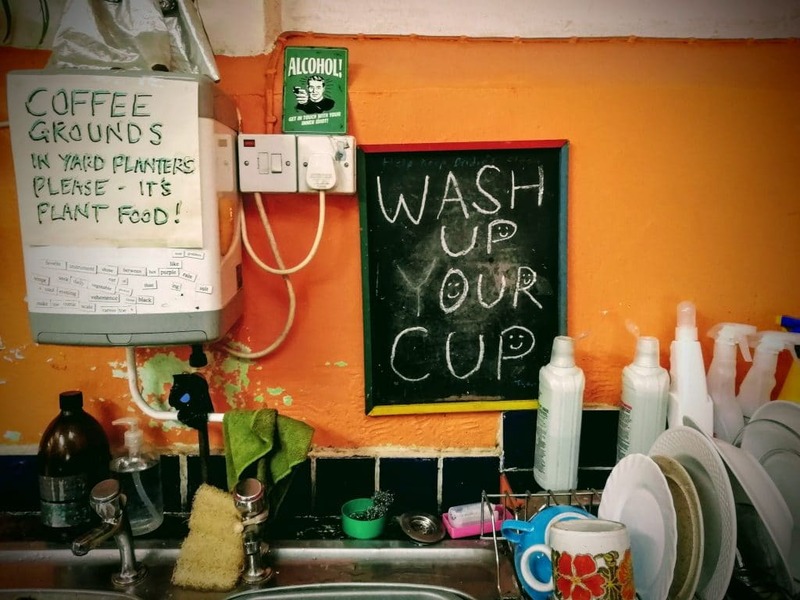 They provide an affordable and plastic free alternative to the supermarkets, you can bring your own tubs and bottles and fill them up from the giant bins of dry goods and the refill station for cleaning and washing liquids, in quantities that you will actually use, cutting costs and waste. 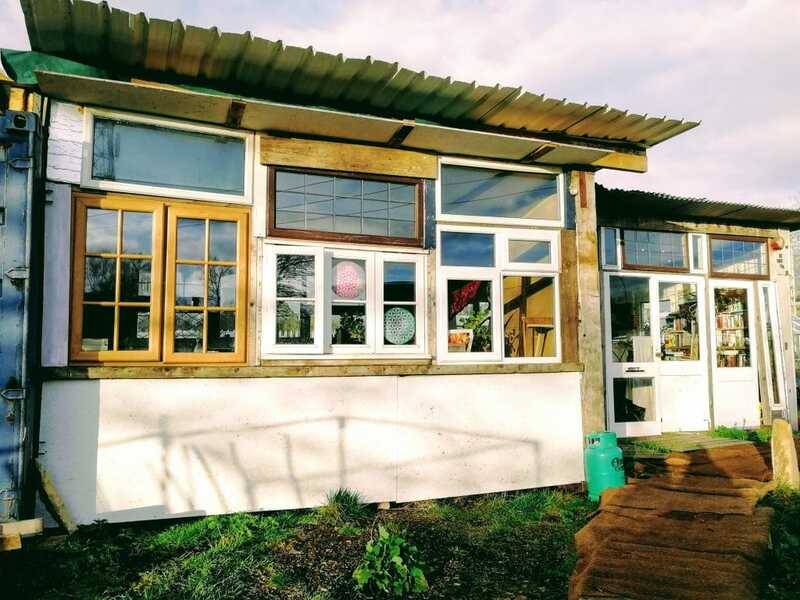 The units at the Yard are currently occupied by two carpenters, a motorcycle workshop, a kombucha maker, Feed Avalon and Sustainable Life Designs. 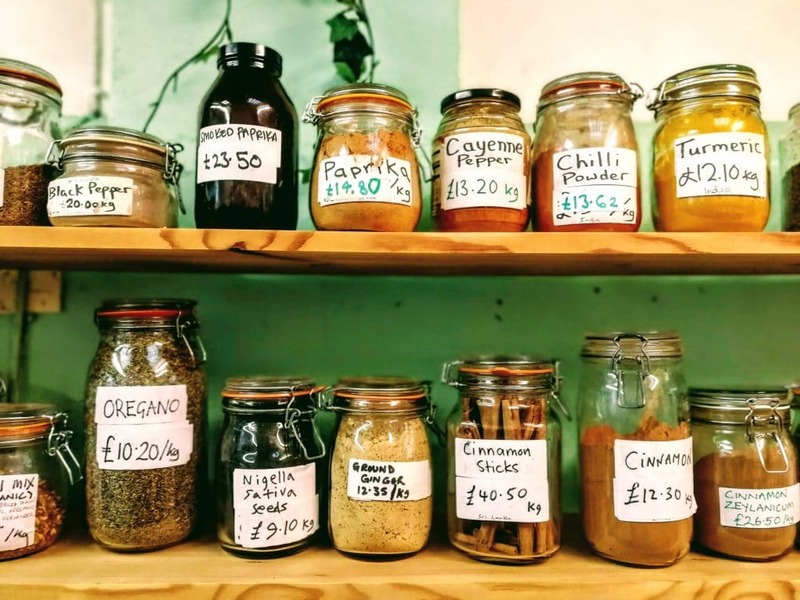 There’s a food as medicine project, which includes fermentation, baking and herbs. 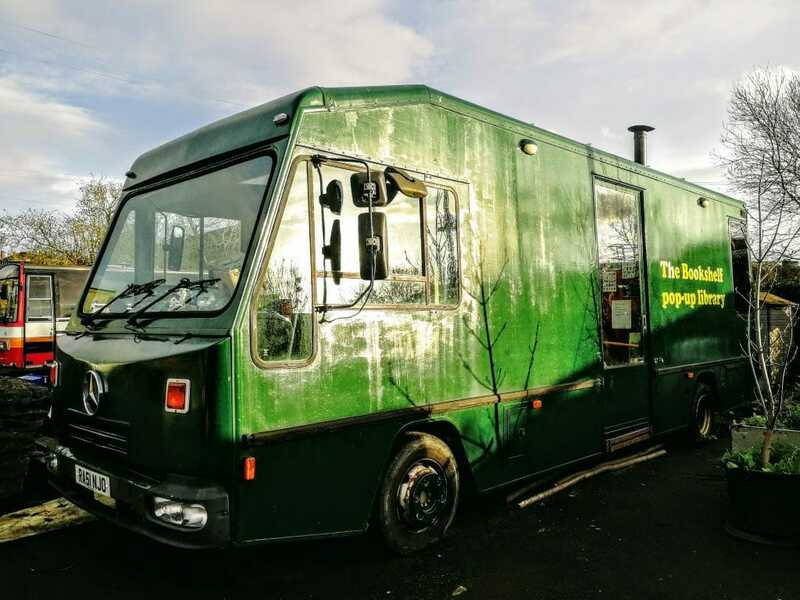 A vegan production kitchen that can be used to cater for events or for bulk preservation. 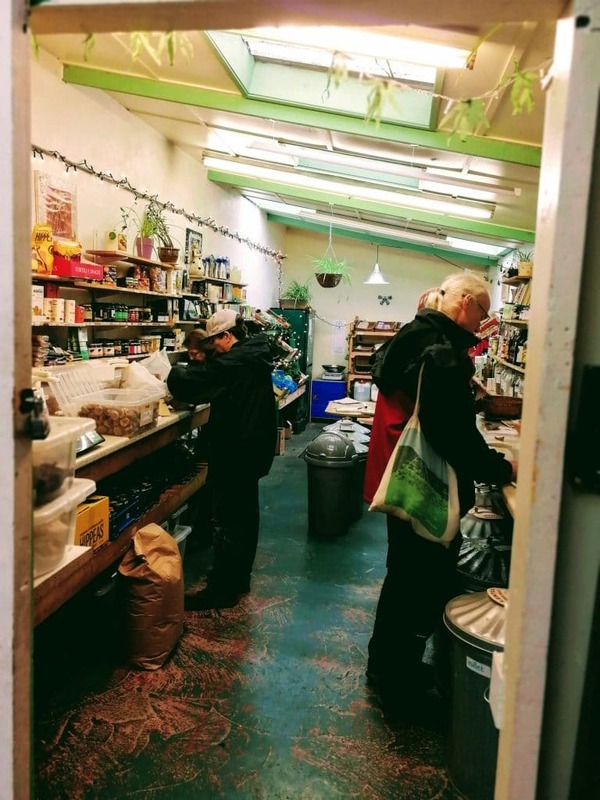 Nowadays Bridie’s Organic Store is open Thursdays and Fridays The shop has recently expanded its range, to include natural medicines, some of which are made onsite. There is also a largish room available for rehearsals, acoustic events and small community gatherings. For seven years the Bridie’s Yard group held Imbolc ceremonies on the nearby roundabout (thoughtfully supplied with it’s own stone megalith by a local quarry). Feeling rather isolated out on the fringes of town, they wished for neighbours “We got Screwfix!”. They decided to modify their wishes and along came the Red Brick Building. Bride’s mound is the spiritual centre of Beckery Village, it is one of the lesser known sacred hills of the Isle of Avalon. 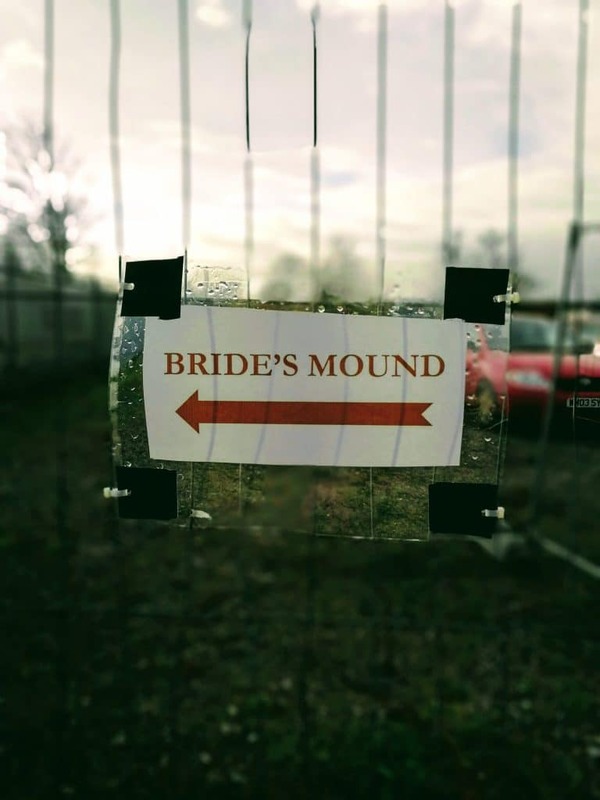 Friends of Bride’s Mound was founded in November 1995 to save the site from destruction, they manage and care for the land around the sacred mound where a small chapel dedicated to St. Bridget (reputedly more ancient than the Isle of Iona). The mound has become a destination for an increasing number of modern day pilgrims. Unfortunately the permissive pathway that was created to the mound has now been blocked off by the owner of part of the site, in an attempt to discourage travellers from parking up, but access can be gained by following the road around Bridie’s Yard. Beckery Island Regeneration Trust manages the regeneration of the old Bailey’s Mill Building, which has attracted a micro-brewery to take up residence. In 2008 a group of young people squatted one of the buildings them forming the Red Brick Building Group. A group then formed with the plan of offering starter officers, workshops, exhibition and community spaces to local residents. 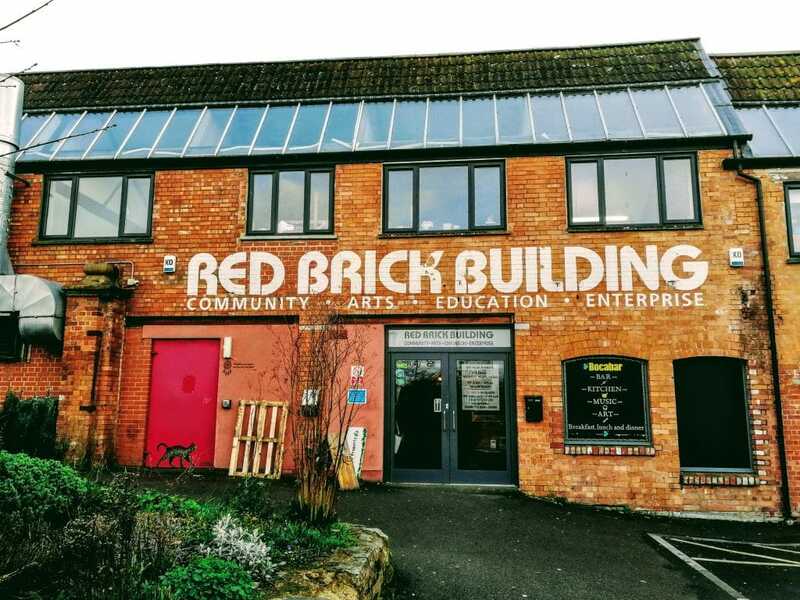 Now the Red Brick Building is a Community Benefit Society, managed by a core group acting on behalf of community shareholders.They host a creative zone with ‘hot desks’ and arts & crafts studios, events space and the popular Bocabar restaurant and bar, which acts as a great meeting point for artists and some of the older locals. Glastonbury FM Radio Station can also be found here. The Zig Zag building, a former leather factory built in the Bauhaus Style, is now home to an off-grid project exploring sustainable living and future solutions. 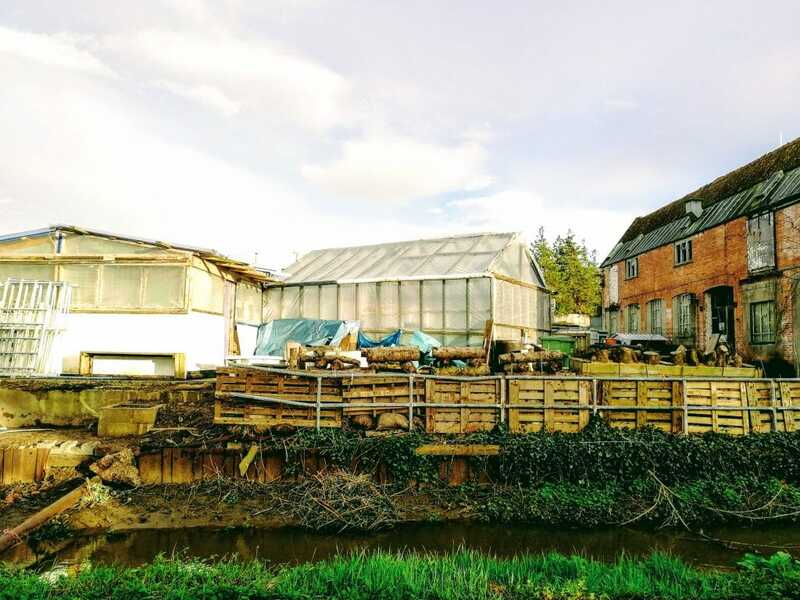 It had fallen into a severe state of dilapidation, Chris Black and the team have turned it around, replacing hundreds of panes of glass and making the building safe and secure. It is now a wonderfully large and bright space for art exhibitions, and a welcoming community gathering space, with shared meals and workshop activities. 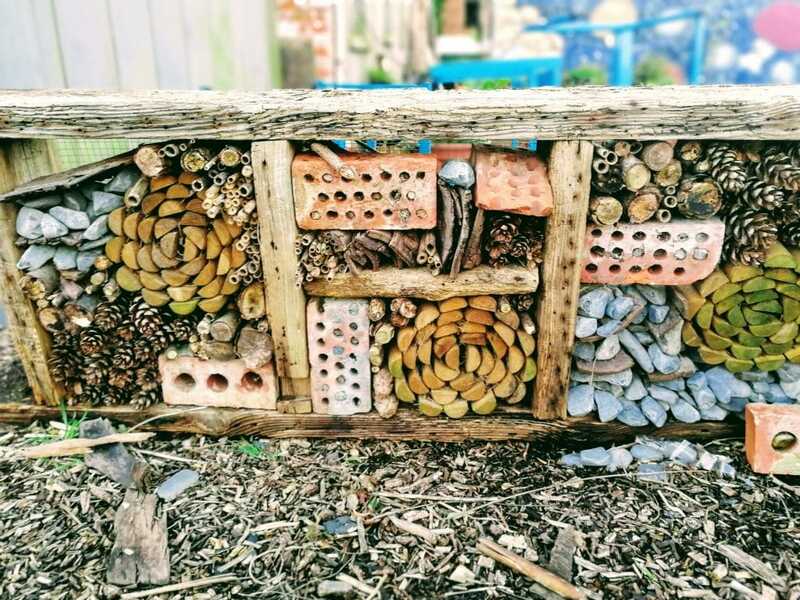 The garden sits between the Red Brick and Zig Zag buildings, a welcome space to enjoy some nature in the industrial environment, and a purposeful project dedicated to growing vegetables, mushrooms and a haven for bees and insects. I hope to be talking to members of the Red Brick and Zig Zag Buildings and other local projects shortly to discuss their ideas around Beckery Village. Members of the various groups have come together to clean up the whole area, cutting back overgrown trees and weeds, creating gardens and seating areas. 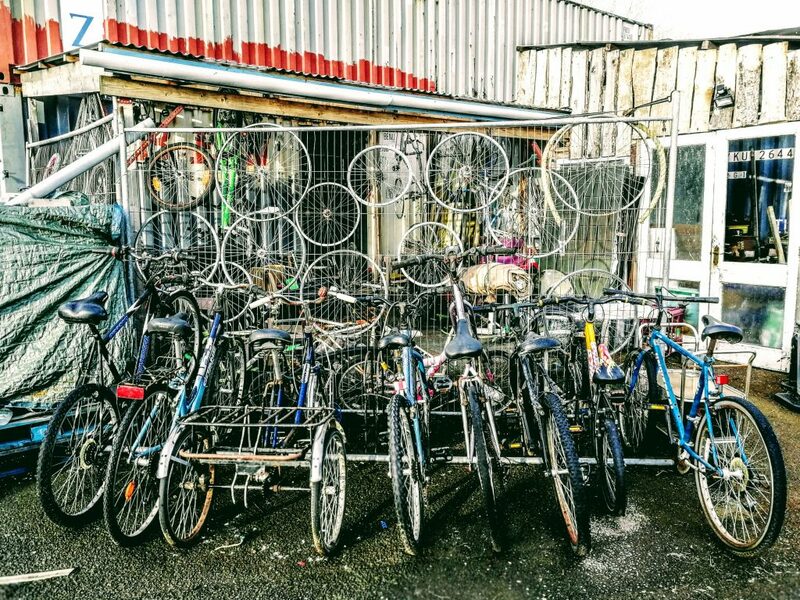 The Beckery Village project, has attracted plenty of local attention, with visits from the Chair of the Chamber of Commerce, the Town Clerk, artists and enterprise people, many of whom have got stuck into the cleanup days. 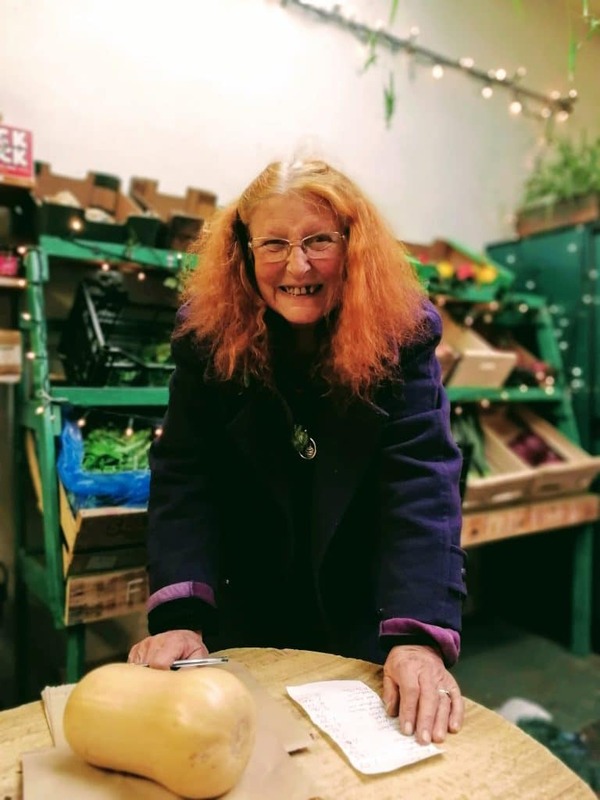 It feels like a broad swathe of the local community want to see the Village succeed, Nik comments that this is the most co operative period that she’s seen the area go through. Tanya says “Between the Red Brick Building, the Zig Zag and Bridie’s Yard we’re doing something to appeal to everyone in the community”. Future plans include a physical bridge between Bridie’s Yard and the Red Brick Building, this will require planning permission. The old factory gates are being restored and will be re-hung at the entrance to the Village, it’s hoped that some of those who worked at the site will wish to return to see what is being done there. 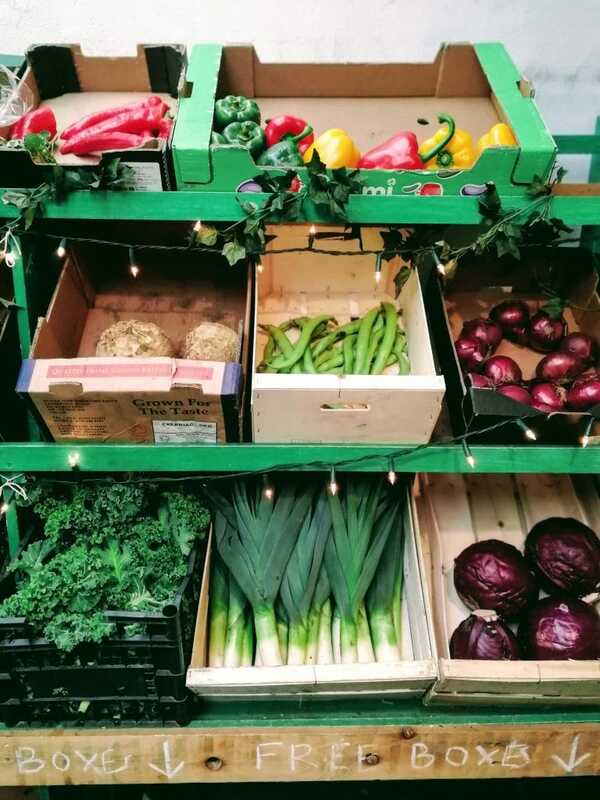 Indeed, it’s hoped that, like the Frost Fayre, Beckery Village might bring the whole town – born and bred Somerset folk and incomers, together. There is a Beckery Village Open Day planned for Sunday April the 7th from 11am to 4pm. 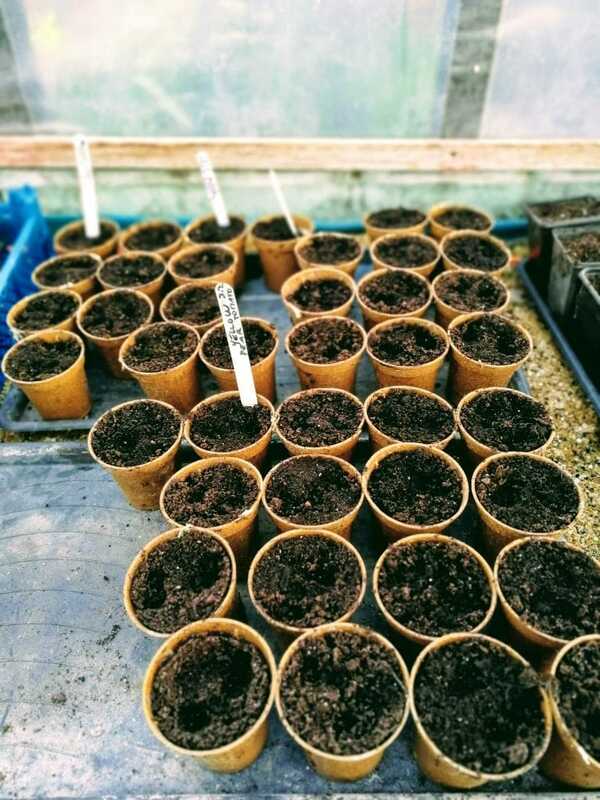 Attractions will include Seed of Hope – a Social Enterprise offering a Social Therapeutic horticulture project for people with mental health problems, workshops, an exhibition of photographs of the Zig Zag building and a flea market. Hopefully, Building C at the Red Brick Building will be open to show its potential. It’s heartening to see all these different groups being neighbourly and working together to serve the needs of the whole. 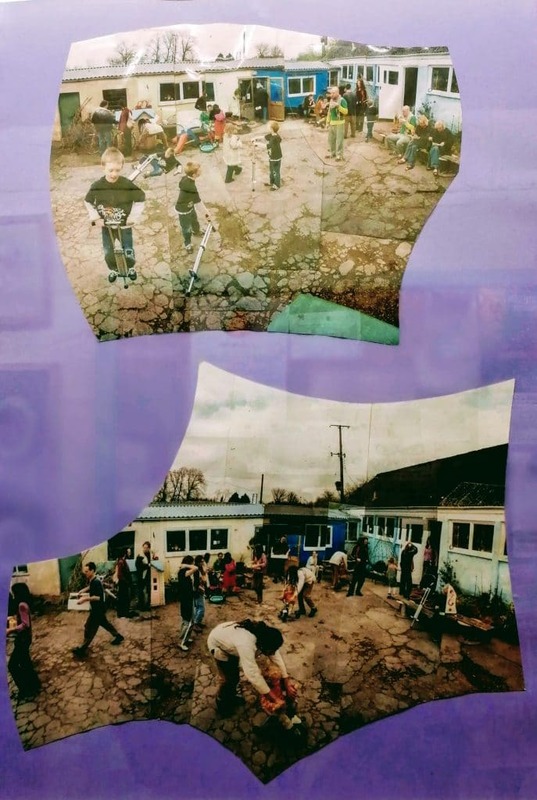 I felt like Glastonbury was going through rather a dark patch a year or so ago, it seemed there was little happening in terms of grass roots, social-activism in the town, let alone art. In 1925 the Morlands company produced a book documenting a century of sheepskin production on the Beckery site, you can download a pdf copy here. The book includes plates of old photographs of the factory and its workers. The very last paragraph reads “We have permitted ourselves to dwell at some length upon the past, of which we are within reason proud. We now put all that aside until A.D. 2025, when we hope to present a further report”. Thanks to the efforts of a great many of the community it seems there will be a new chapter in the history of the Beckery, let’s see what happens in the next 6 years. Great article Vicky! Really interesting.